Simple. Safe. Driven to protect. The magnets run end to end for superior connection to the door and has a steel plate to absorb the heaviest of impact. 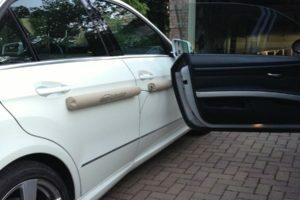 It is weather proof and has a scratch proof pad sewn on the inside of the bumpers so it wont scratch your door. 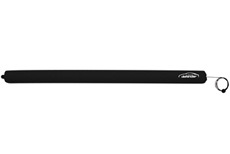 Every Doordefender comes complete with an aircraft security tether to deter theft and protect your investment. 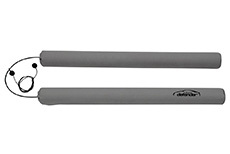 The same great protection as the Doordefender Original, utilizing a soft silicone scratch-resistant suction cup with high-intensity suction for superior grip on the door. The suction cup also features a release tab for easy removal. 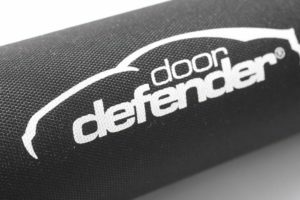 The Doordefender 2 is also available in a variety of colours. 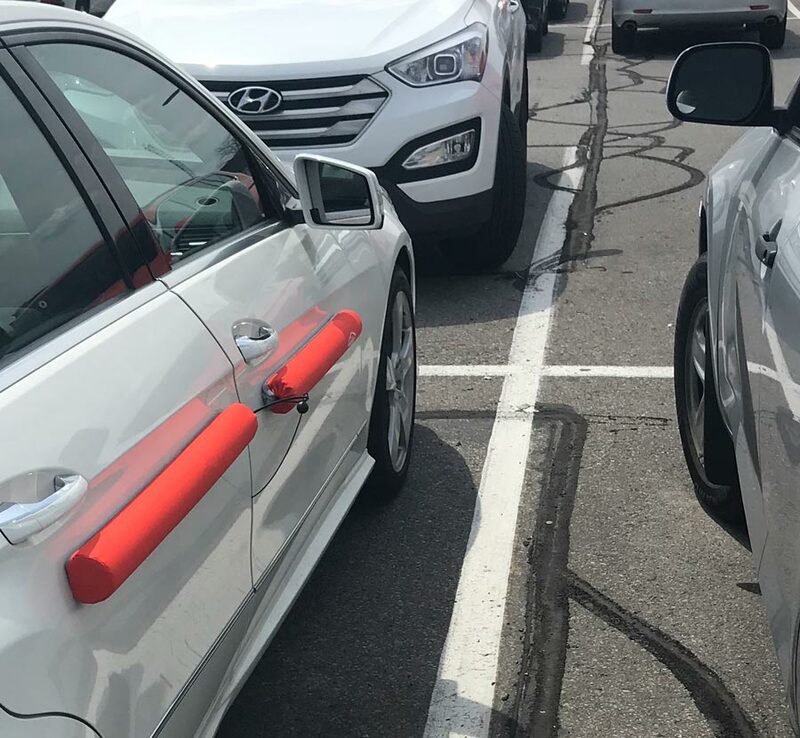 This sleek, sporty, magnetic bumper car door protector is designed to protect 4 door and 2 door vehicles from door damage when parked. 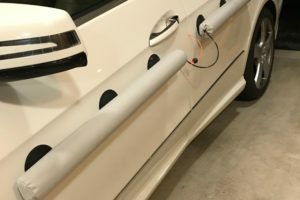 The Original attaches directly to the vehicle’s door panels and is safely secured to the vehicle using a security tether made from aircraft cable. 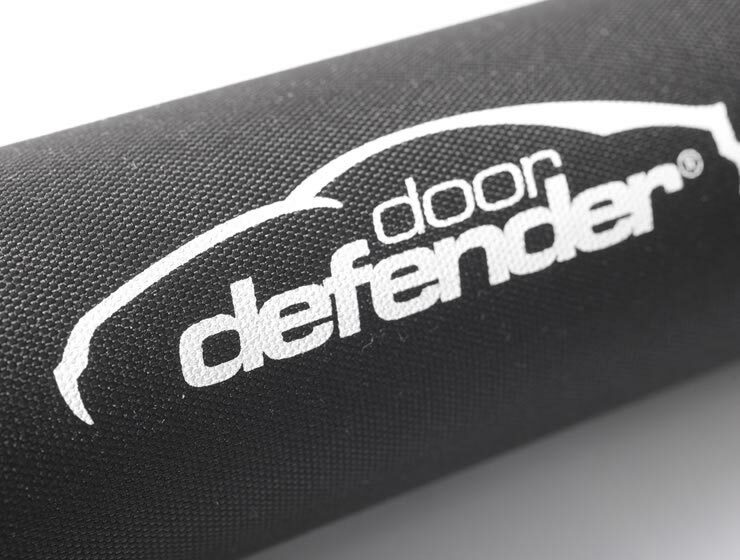 The Original Doordefender is available in a variety of colours. 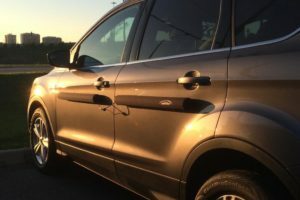 The largest car door protector in the Doordefender® product line, the Maxi is ideal for a 2 door vehicle but can be used on 4 door vehicles as well. The Maxi can give you extra protection on fenders, hatches, trunks, and doors when opening in tight spots. The Maxi can also protect a vehicle’s roof and can be used when transporting large items like a Kayak. 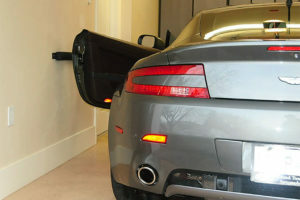 The Garage is an easily mountable wall bumper for the garage or car ports. 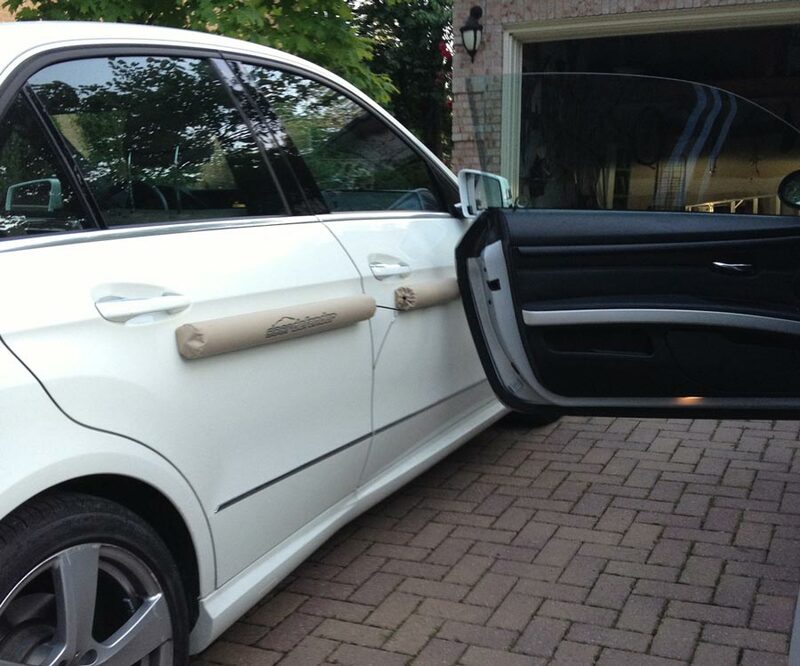 It’s an ideal car door protection system that prevents your vehicle doors from hitting the wall and damaging the side of the door. It is also used to define where you stop and park in your garage. 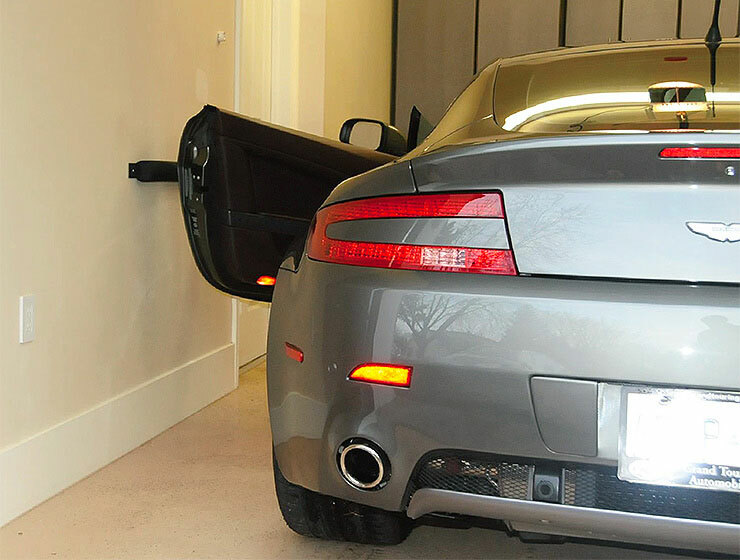 Use the Garage to park in the perfect spot every time and prevent your door from hitting the wall. 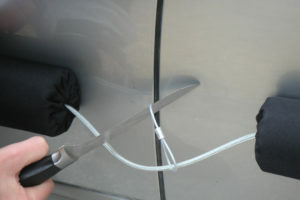 STEP 1 – Open vehicle door and place security tether on seat. STEP 2 – Close vehicle door. 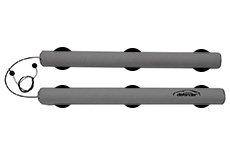 STEP 3 – Seperate Doordefender® and place below door handles. 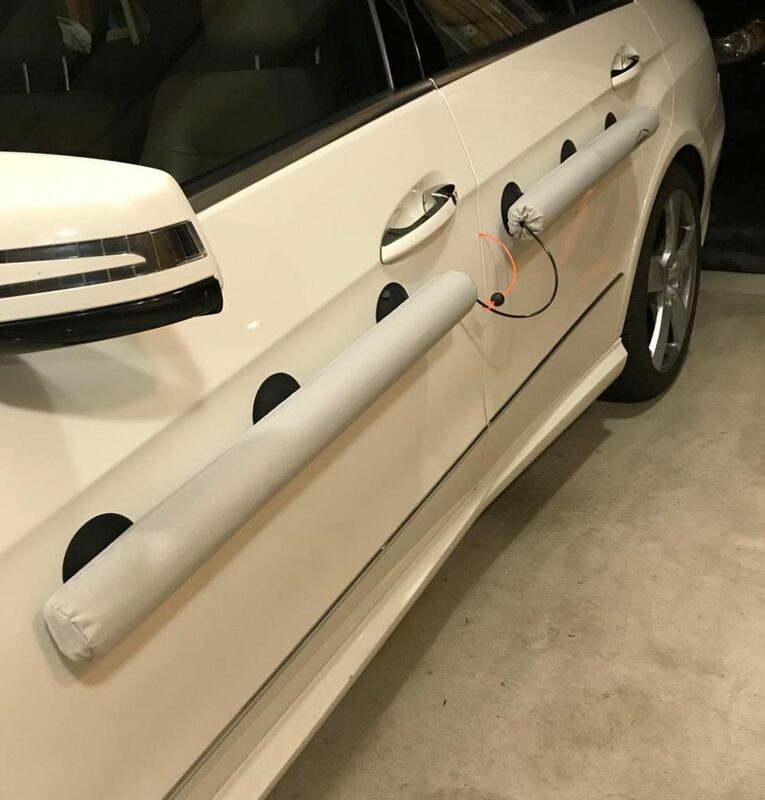 REMOVAL – Unlock vehicle, take hold of Doordefender® and roll towards you until magnets are free from door, or pull the tabs on the suction cups to release. 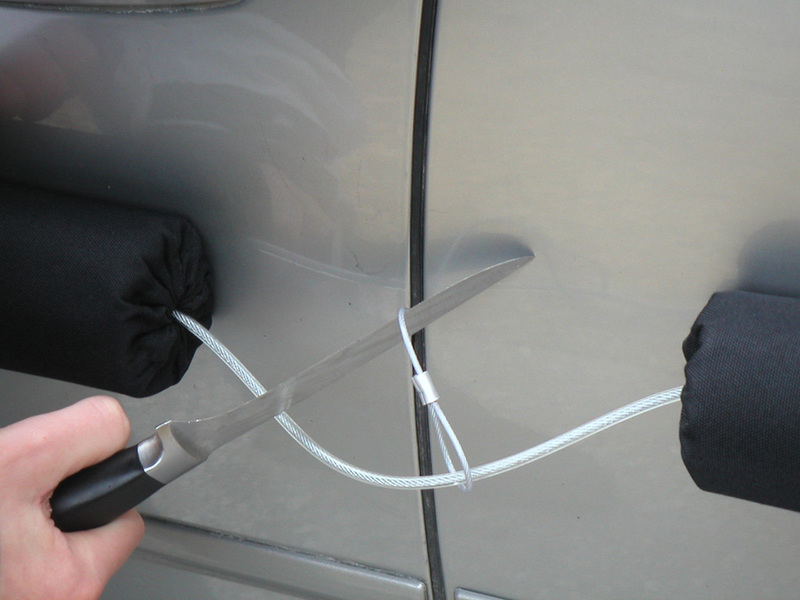 Remove the security tether, close the vehicle door and store Doordefender® in trunk. 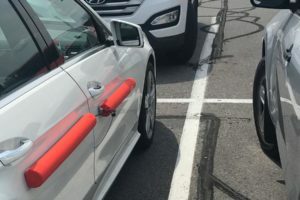 Can you afford car door dings and dents? Repairing dents, dings & scuffs in your vehicle’s paint can cost anywhere from $200 to upwards of $1000. If not tended to these can result in a lower resale value for your vehicle as well. 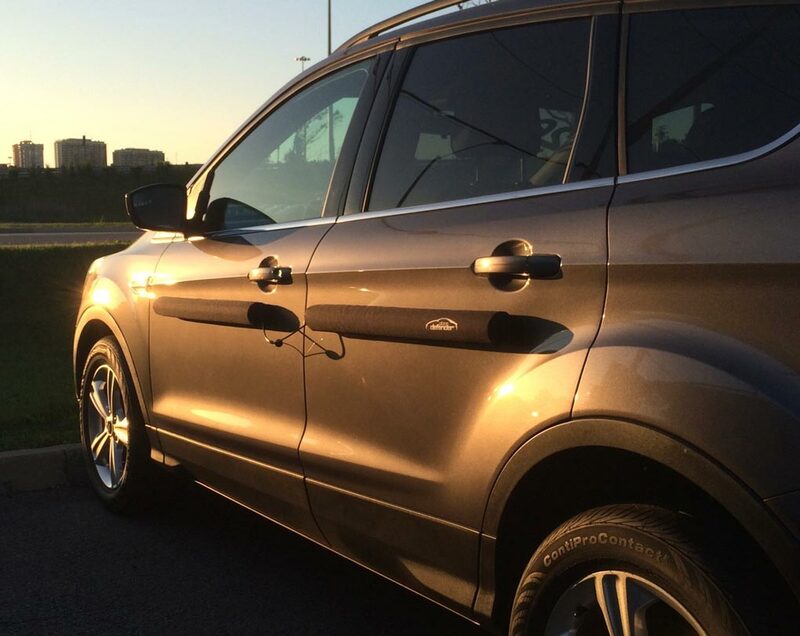 A pair of Doordefender® units costs significantly less than fixing even one minor dent. It is portable, takes only seconds to install, and will protect your vehicle’s doors while parked, even in your own garage. Will it scratch my car door?